Where does it fit into a traditional bodybuilding program? As fitness trends go, few have caught on like functional fitness, CrossFit, and high-intensity interval training. All three of these exercise systems overlap — in fact, functional fitness (a generic term) and CrossFit (a trademarked term) are often considered the same thing. Functional Fitness: The workouts typically combine total-body compound exercises with high-intensity cardio. It is often performed against some degree of time element to increase motivation and output while decreasing rest. This style of training also utilizes gymnastic moves such as pullups, rings, handstand pushups, tire flipping, and rope climbing. Bodybuilding: The workouts are more regimented. The focus is on using barbells and dumbbells to work specific body parts, with set and rep schemes that include rest periods. Cardio work is usually done apart from weightlifting, often on different days. While bodyweight movements like pullups and crunches can be incorporated in bodybuilding routines, they aren’t a core aspect of training. The differences of these training styles are all dependent on goals. In functional fitness, you’re trying to improve overall strength and endurance, giving little attention to appearance. In bodybuilding, your goal is hypertrophy (increasing the size of muscles) to improve the body’s overall muscular shape and structure. “What do you do for workouts? What do you do for cardio? Implied in the joke is where the training styles diverge. Bodybuilders place a premium on feeling the rep and performing each movement with strict form. Functional fitness doesn’t place a premium on the integrity of the rep, opting for speed and endurance. In fact, there’s a lot of “cheating” on many resistance training movements in functional fitness (just check out the “kipping pullup”). Bodybuilders also lift heavier with rest between sets. Functional fitness features minimum rest and recovery during the training session itself. Bottom Line: Without the recovery aspect and rep integrity of bodybuilding, your muscles will just not grow as quickly or as large. This was a lesson learned in the Golden Era: recovery is key. 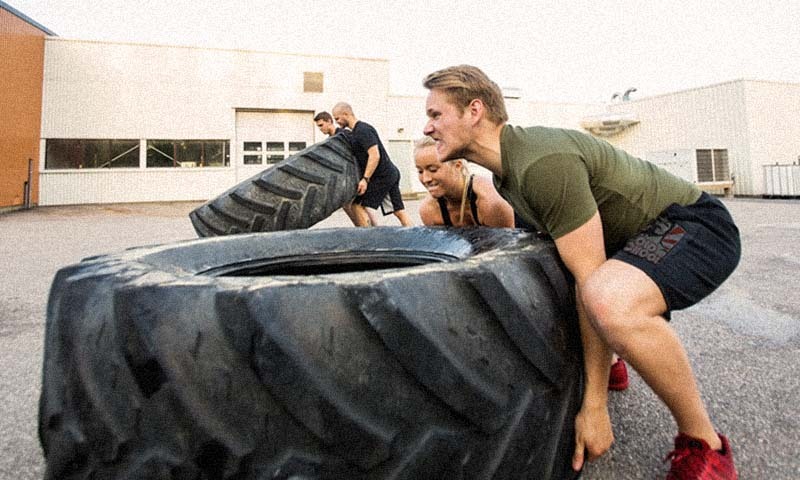 Functional fitness is different from bodybuilding in that it’s often a group activity. CrossFit workouts and boot camp classes, for instance, are often done in a group setting. Bodybuilders may train in busy gyms and have a training partner or two, but it’s more of an individual pursuit. In the heyday of Gold’s Gym during the Golden Era of bodybuilding, it may have seemed like a group activity, and the camaraderie was a big draw for many athletes, but the workouts weren’t subject to an instructor leading a session. Bodybuilders are inner driven, but they can learn from the social aspect of functional fitness classes and the Golden Era milieu of being part of a close-knit group. In other words, sharing your bodybuilding passion with others can help motivate and inspire. Functional fitness can also teach bodybuilders the value of altering your routine. For people in CrossFit, workouts change every day, which helps you avoid plateaus and getting bored. Too many novice bodybuilders keep doing the same routine, which limits progress and enthusiasm. That’s why many successful bodybuilders build in periodization programs, where they’ll take a few weeks performing circuit training, for instance. Even more, functional fitness incorporates tools not traditionally found in bodybuilding programs — rowing machines, kettlebells, ropes, sleds, large tires (for flipping), medicine balls — and utilizes them in ways that can add up to a brutally difficult workout. 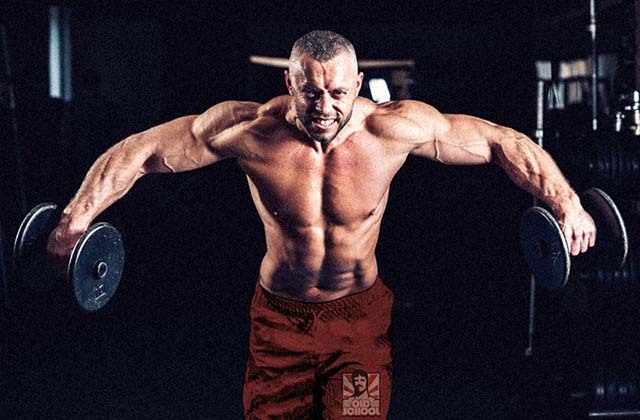 Bodybuilders who need to break out of a rut may want to take a look at some of these tools and see if they can’t be useful if they’re used in a way to increase hypertrophy. Bottom line: Take a cue from functional fitness and build variety into your overall program. In fact, performing functional fitness routines as a break from bodybuilding training may do wonders for your overall development. Just train safe and maintain your nutrition and supplement regimen. Your muscles don’t know the difference between a dumbbell and a kettlebell, but they sure know the difference between a gram of protein and a half-gram of protein. Bodybuilders eat to grow; functional fitness athletes don’t. Period. Take the Paleo diet, a favorite of the CrossFit community. Sometimes called the “caveman diet,” Paleo eating focuses on proteins, carbs, and fats that were hunted and gathered like meat, fish, poultry, eggs, vegetables, and some fruit. Bodybuilders require more calories, especially carbs, and a much larger menu than what’s typically found in Paleo diets. They also eat more often than functional fitness athletes, making sure muscle cells are fed sufficient macronutrients to keep muscles in an anabolic state for as long as possible. Bodybuilders also benefit from sports supplements, something not emphasized in functional fitness. Again, it’s about feeding the muscles nutrients at optimum times, especially around training sessions. Golden Era bodybuilders would have never built the physiques they did on restricted diets commonly used by functional fitness athletes. They ate clean, but they ate a lot, consuming hearty portions of meat, eggs, and dairy, as well as protein supplements, when they could get their hands on them. Bottom Line: Bodybuilders typically eat anywhere from 0.8-1.5 g of protein per pound of bodyweight, especially during a bulking phase, with a macronutrient breakdown that includes plenty of carbs and healthy fats. They also use high-quality supplements timed for optimum advantage. Functional fitness, like bodybuilding, will make you stronger and more fit, but these programs are not designed for maximum muscle growth. If you want to look like a bodybuilder, eat and train like one, but you’ll do yourself a favor by incorporating more variety into your overall program, and that’s where functional fitness can bring value to you and your goals. DO YOU UTILIZE FUNCTIONAL FITNESS IN YOUR TRAINING? If so, tell us how what you do, and how it works for your goal in the comments below! 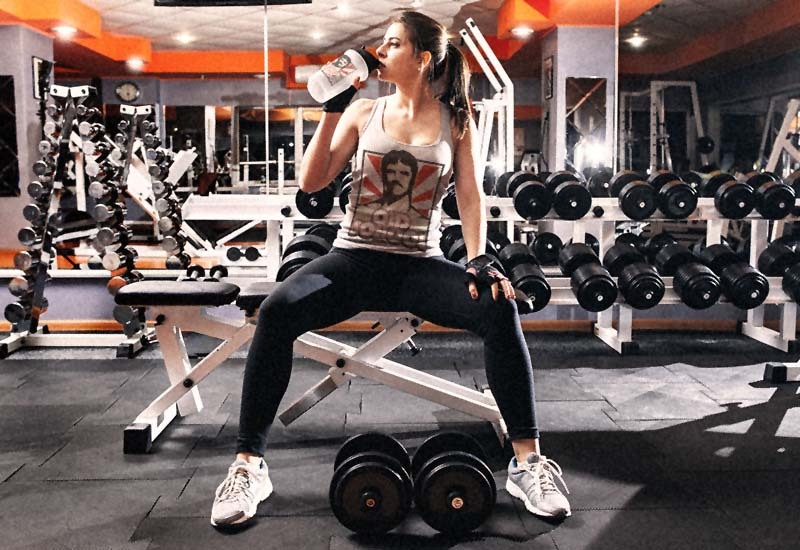 So You Joined A Gym, Now What?